This intensely hopped and gushing undead pale will be ones only respite after the zombie apocalypse. Zombie Dust staggered into my glass with a beautiful copper/deep orange color. It was surprisingly dense, preventing any real light to penetrate. A bubbly inch of white floats atop, leading to sticky webs of lacing clinging to sides after each drink. Big resinous pine notes appear at the forefront of the nose. Orange marmalade, tangerine, and graham cracker were also present and prevented the pine from having a monopoly over the aroma. This is unmistakably a hop-forward beer. And yet the taste was much sweeter than expected. It starts with a blend of pine and citrus (mostly orange), that slides into a honey graham cracker maltiness. A sweet grapefruit flair appears near the end that reminds you how hoppy this beer is (like I could actually forget). As the beer warms the flavors blend together to create a flavor I like to call “awesomeness”, ie the beer becomes very smooth and easy drinking. Mouthfeel is medium and surprisingly creamy (I wonder if they use any oats in this beer?). The carbonation is noticeable as the beer goes down, leaving some bubbles clinging to my mouth after each sip. 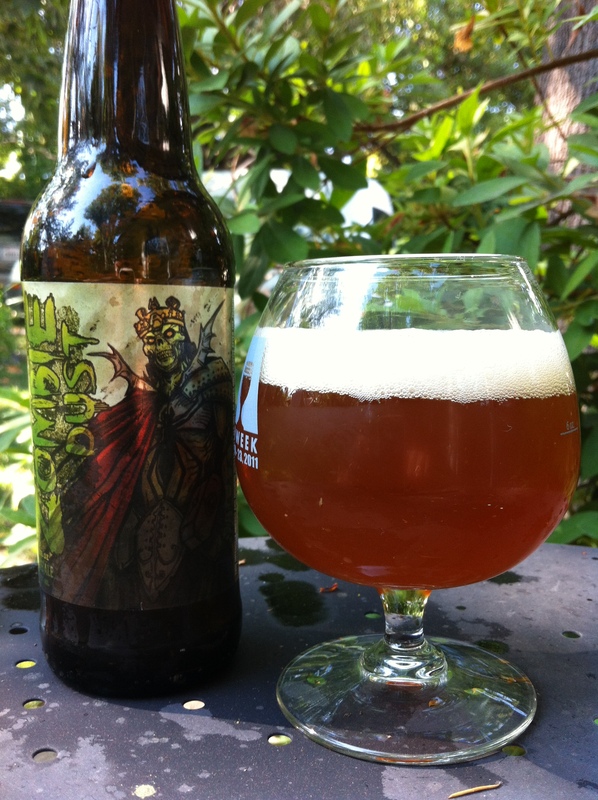 The high IBUs, for the style, creates a slight burn that any hophead would recognize for what it is. 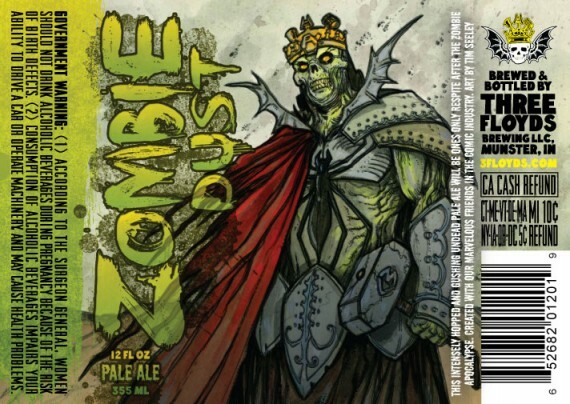 Zombie Dust is a smooth drinking, albeit hoppy, pale ale. It’s at the forefront of this new style of pale ale that dances along the line into IPA territory without crossing it, and has fans scratching their heads as to where that line actually lies. A great beer and one that should be searched out by hopheads and beer hunters alike.